The Niken will never appeal to everybody, however with the additions the GT model brings it does make a bit more sense as a sports tourer. The security the extra wheel gives you in a straight line suits motorway miles and when you get to unfamiliar winding roads the same extra wheel does bring a lovely feeling of front end control, so it certainly works better as a sports tourer. 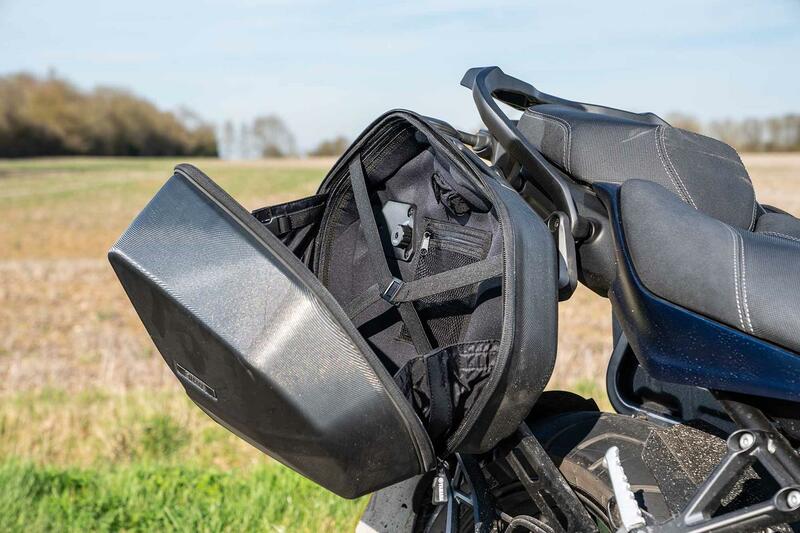 But while the GT modifications make it more comfortable, the panniers are disappointingly cheap feeling and it lacks any useful cubby holes, making its GT premise feel a bit like an afterthought. 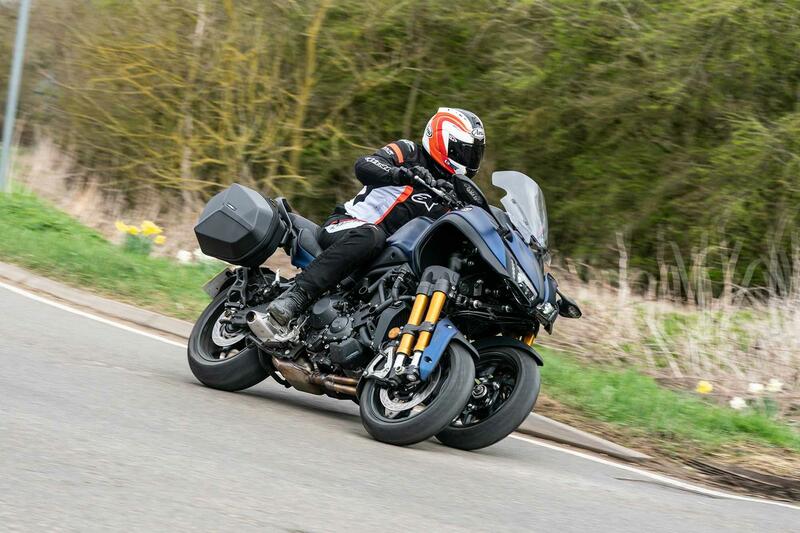 But is it any better than a two-wheeled sports tourer such as the Tracer 900 GT that is £4k cheaper and 50kg lighter? It’s certainly a different riding experience, but not necessarily a better one. 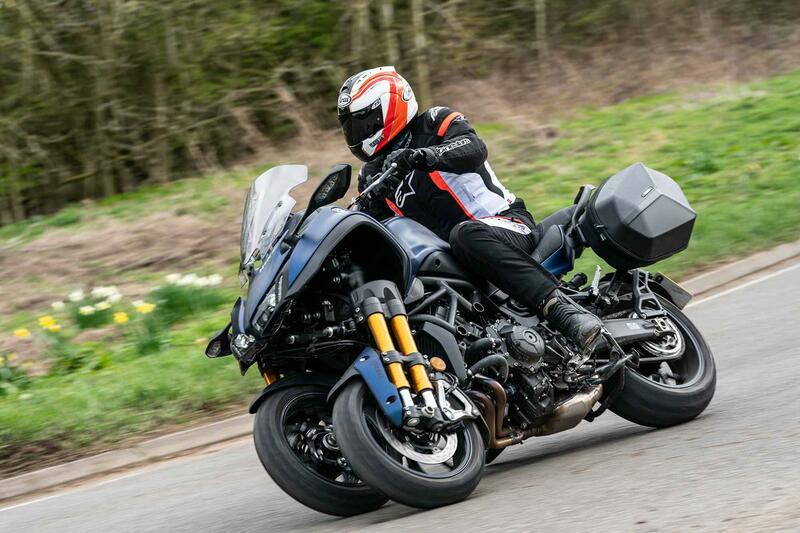 Riding a Niken is a strange sensation and it does take some getting used to. The front end with its extra wheel feels like it glides into bends and once you start to trust the sensation it is remarkable just how much confidence it gives you, especially in changeable conditions. Corner angle is somewhat limited (45-degrees) and it doesn’t take much effort for your toes to touch down on roundabouts, but that’s more a result of the confidence the front delivers rather than an inherent lack of ground clearance and it won’t worry most owners. 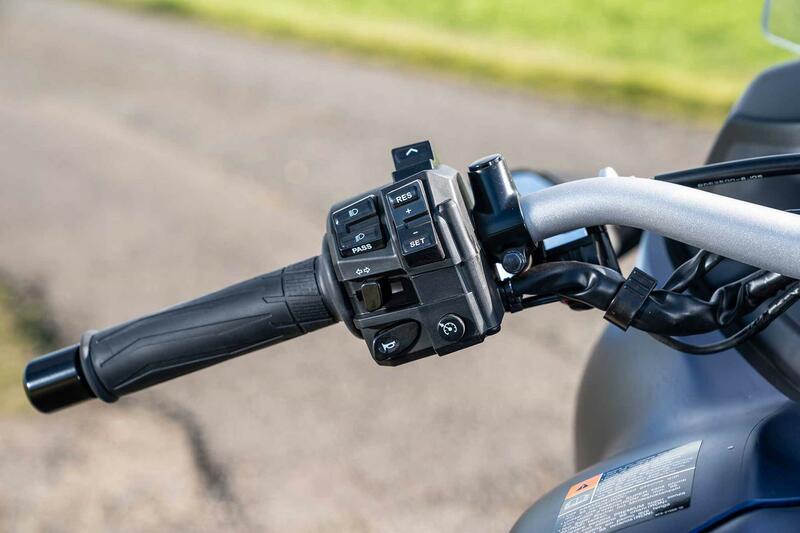 In high winds or on motorways the twin front wheel set-up gives a remarkable feeling of stability, which makes for very relaxed cruising, and you do seem to sit high on the bike, giving you a good view of the road ahead. The brakes are average rather than strong in their performance, but the ABS is good. The triple motor is effectively the same as the MT-09’s unit, however the Niken’s crank has 18% more inertia as well as revised fuel maps. 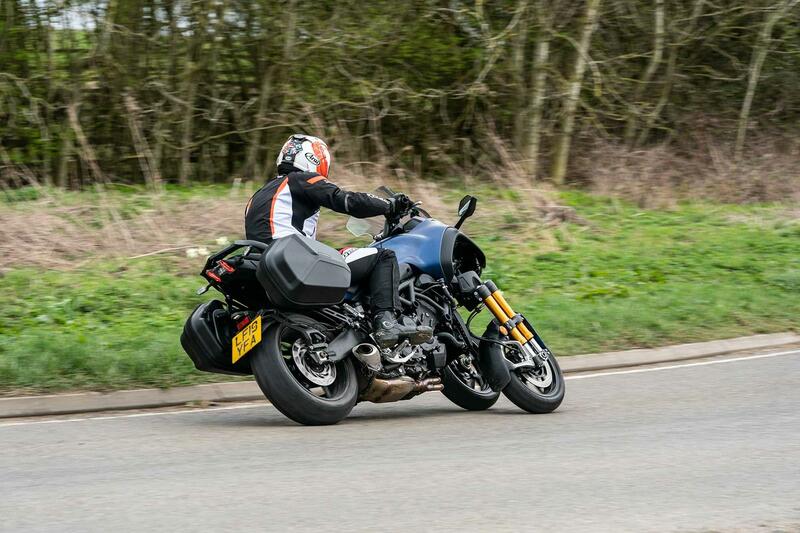 The issue is that while in the MT/Tracer/XSR ranges the triple makes for a spirited performer, the Niken is lugging around an extra 50kg of weight (a Tracer GT is 215kg, the Niken GT is 267kg) and that does make it feel more lethargic. It’s still a brilliant motor, but in the Niken it lacks the pazzaz you get in the two-wheelers that make them so appealing and fun to ride. The Niken appears very well built and the triple motor is a solid unit, however the panniers are a disappointment in terms of quality. While it is hard to criticise the practicality of the GT’s 25-litre cases, on a £15k bike they do feel a little cheap. Their semi-soft construction means they are nice and light to carry, but they lack a proper lock and you secure them via a small padlock that links the two zips together, which won’t deter many thieves. The Niken is a premium product and despite sharing so many components with the Tracer 900 GT, it costs nearly £4000 more. That’s a lot of money for an extra wheel and doubled-up suspension. 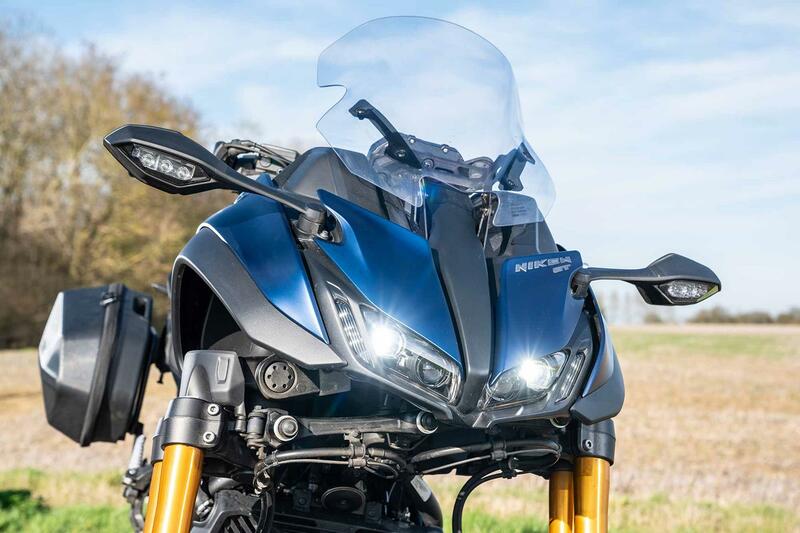 There again, it is a truly unique machine and prices for a large sports tourer such as the BMW R1250RT are in the same region. It’s not great value like the rest Yamaha's triple range, but exclusivity always costs a premium. 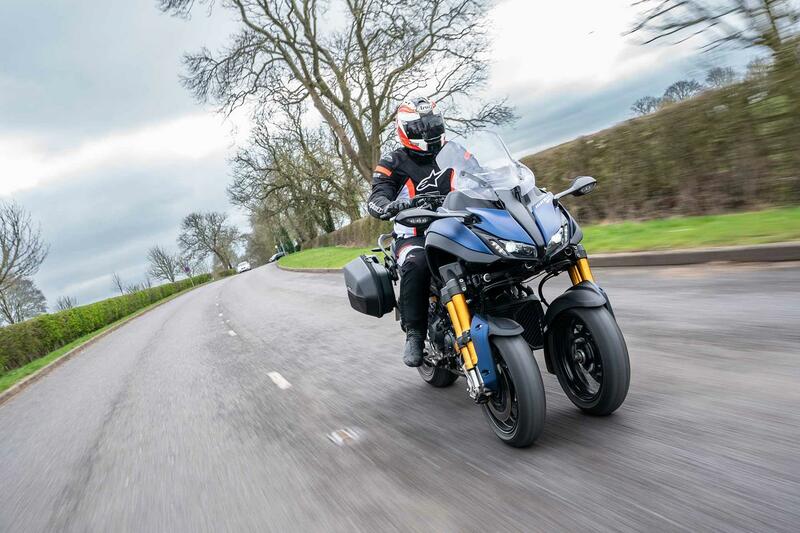 2019: The Niken GT adds semi-soft panniers, heated grips, a comfort seat, taller screen, centre stand and an extra 12v socket to the base mode to make it more practical for touring on. The base model Niken was launched in 2018 and costs £13,642. This lacks the touring capabilities, however is largely the same machine. 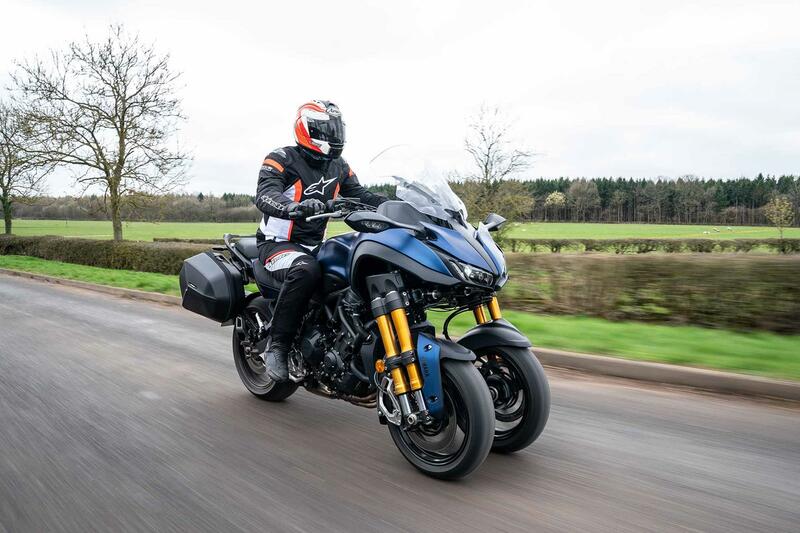 No owners have yet reviewed the YAMAHA Niken GT (2019-on).